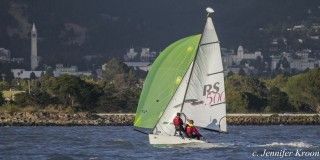 Many dinghies, including the RS 500, RS Venture, and Laser Bahia, can be equipped with a gennaker, also known as a kite or asymmetrical spinnaker. This large sail can be used effectively on points of sail between a run and a beam reach, and may greatly increase boat speed. It can add a lot of excitement and get you up and planing when the wind might otherwise be insufficient. The purpose of this short guide is to touch on the finer points of flying the gennaker on a dingy similar to those mentioned above. I assume that the reader is familiar with the basics of dinghy sailing. Run the sheets through the gennaker blocks and tie them off. The trick is to do this all without anything getting tangled up. It can be helpful before starting to first make sure the gennaker is untwisted. You can do this by making sure two of its edges are untwisted; this will automatically untwist the third. Over the past several years, CSC has organized a number of epic dinghy cruises: to Angel Island (with camping! ), out under the Golden Gate Bridge, and to China Camp, just to name a few. Although I've missed out on most of these, I recently got to take part in something equally awesome: a three-day cruise from Vancouver to Keats Island, organized by the UBC Sailing Club. Keats Island lies northwest of Vancouver along British Columbia's Sunshine Coast, about 13 nautical miles from Jericho Sailing Center, where UBC Sailing houses its boats. The island is home to Plumper Cover Provincial Park, which sports a beautiful campground, and is only accessible by boat. The route there from Jericho involves sailing out from the English Bay into relatively open waters in the Straight of Georgia, before passing through a channel north towards Keats. Our fleet left Vancouver on the morning of Saturday, August 1st, and consisted of seven Vanguards, two Hobie 16s, two F18 catamarans, and one RS500. We had a chase fleet consisting of a larger powerboat, a Boston Whaler, and a small Zodiac. Most of our gear, as well a number of participants not lucky enough to get a sailing spot, got transported to Keats on a water taxi. All told, we had about 40 participants. Since Plumper Cove doesn't allow campsite reservations, we had shipped a number of tents and a few brave campers over several days earlier to stake out our spot. The first Monday in August is a holiday in British Columbia, so we needed to ensure that we had somewhere to camp. 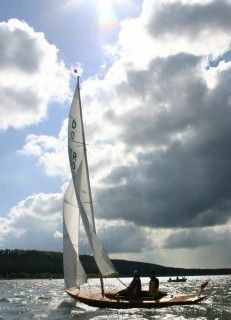 One of the common pitfalls of sailing a dinghy downwind is that in a sudden gust, the boat will start to head up, leading to a capsize. In this blog post, I'd like to share some of my thoughts on the factors in play and how to best deal with them. This discussion applies to sailing with just main and jib, as well as to those thrill-seekers using a gennaker. To begin with, why does your dinghy insist on heading up in a gust? There are (at least) two factors involved. 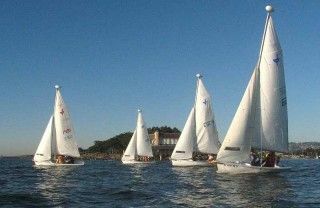 To begin with, your dinghy typically has a bit of weather helm: to get technical, the center of effort (COE) on your sails lies slightly behind the center of lateral resistance (CLR) created by your dinghy's foils. In normal conditions, a bit of weather helm makes for a nice responsive tiller that helps you to better "feel" the boat and the wind. However, as the force on the sails increases as happens during a gust, the discrepancy between the COE and CLR is amplified, causing more and more weather helm. This effect will cause your boat to want to head up more strongly during a gust. However, the natural weather helm caused by the discrepancy between COE and CLR isn't typically what will cause you problems. Instead, it is the additional weather helm caused by excessive heeling. Indeed, as the boat heels more, the hull's interaction with the water creates extra weather helm. Furthermore, your rudder is now only partially submerged, giving you less control over rounding up. And that is just the beginning: assuming that you are sailing below a beam reach, the more the boat rounds up, the more the heeling force on the sails increase. This causes more rounding up, which causes more heeling which causes... you can see that this will probably end with you getting wet. Now that we know two of the main factors in play, let's consider three different scenarios. First scenario: you're sailing on a dead run when a gust hits. The force of the wind on the main will indeed cause the boat to want to round up a bit. However, since you're on a run, it won't cause much heeling, so you only have the first aforementioned factor to deal with. Second scenario: you're on a broad reach when a gust hits. Now you're in trouble -- you have both excessive weather helm coming from the force on the main, as well as weather helm caused by heeling. As you round up towards a beam reach, you can't depower the main, and you may end up capsizing. Third scenario: you're on a beam reach when the gust hits. Again, both factors will apply, but as the boat rounds up above a beam, the main will start to depower, reducing heeling and weather helm and saving your bacon. From the above analysis, we see that the danger of rounding up and capsizing is greatest when sailing close to a broad reach. But never fear: we have some powerful weapons at hand in combating the evil demon of weather helm. First, we would like to be able to depower the main sail while sailing on a broad reach; this will decrease both natural weather helm and excessive heeling. Our first weapon for doing this is the vang or gnav. Easing this control in a gust lets the top portion of the sail twist away from the wind. While crewing for one of our club's most experienced dinghy sailors during the infamous Fast Track squall of May '12, my skipper had me blowing the gnav in every gust, and this is what let us limp back to the club in (more or less) once piece. Our second weapon in depowering the main is of course the main sheet. If the wind is howling 20 knots and your Bahia is screaming along on a broad reach, chances are that your high boat speed is shifting the apparent wind far enough forwards that your main sheet should not be all the way out. The added bonus is that when the gust comes, you can now ease the sheet to help balance the boat and depower the main. If you instead neglected to sheet your mainsail in at all, you can't depower by easing the main! Apart from depowering the main sail, the above analysis tells us that we want to do everything possible to keep the boat flat. Anticipating the gusts and aggressively falling off is key. Likewise, hard, aggressive hiking (or even sending crew out on the wire) are also important. Keep in mind, though, that if you are already hiking out hard before the gust hits, you won't be able to up the ante when you need to. Just as with the main sheet, it is highly advantageous to have a bit of room to make adjustment during gusts. Finally, aggressively sheeting in the jib (or gennaker) in gusts so that it stalls a bit will shift the COE forward in the boat, which will also decrease weather helm. Likewise, raking the centerboard aft slightly will shift CLR aft, also decreasing weather helm. 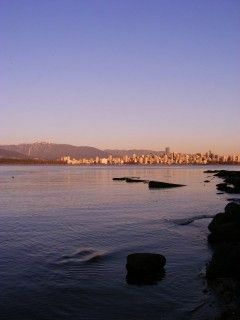 While you spoiled Californians may have been venturing out onto the water all winter long, most of us in Vancouver are just starting our sailing season -- we don't like frostbitten toes! This past Saturday, I had the pleasure of crewing on a Dragon in a one-design regatta. The Dragon is a "modern classic": designed in 1929 with extremely elegant lines, this 29 footer has been updated again and again to remain an exciting keelboat. She has a furling jib, a symmetric spinnaker which launches from a chute below deck (very similar to our Bahias), and really feels more like an incredibly large dinghy than a keelboat. Her RYA handicap puts her just a bit slower than a 470, so she would destroy one of our Bahias in a race. This was my first time racing on a keelboat, and I don't know why I waited so long to do it! It was fascinating to see a keelboat set up for racing, in contrast to our Commanders which are set up for, well, pretty much the exact opposite of racing. Did somebody say "spinnaker practice?" I must have hoisted and doused the kite ten times, and I can't even count the number of times we gybed with it up. At the beginning of the day I was just concentrating on not wrapping the jib sheets around the spinnaker pole, but by the end of the day I was doing end for end gybes on the foredeck fairly smoothly. As they say, practice makes perfect. Even with my bumbling help, our Dragon "Rum 'n' Monkey" managed to place solidly in the middle of the fleet. I look forward to honing my skills throughout the summer; I think once our crew of three gets dialed in, we'll be unstoppable (or at least close to it). If you ever get a chance to sail a Dragon, I recommend you take it -- they are pretty fun boats! But even more importantly, all you aspiring dinghy sailors should take any opportunity you can to crew during keelboat races. 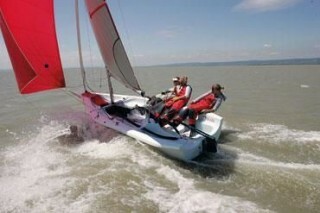 It's fun, and you'll learn a lot, including many things which will improve on your dinghy sailing. 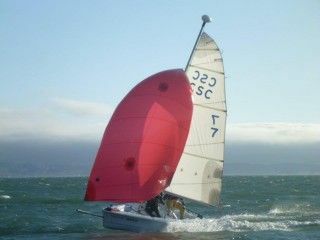 Fortunately, Friday evening racing at Berkeley Yacht Club has just started up for the season. If you show up at O-dock at the Berkeley marina around 5:30pm any Friday evening (dressed to sail and with a six-pack for after the races) chances are you'll get a crew spot on a boat. It's a chance too good to miss. Have you ever taken a dinghy lesson at Cal Sailing? Then chances are you have met Michael "Mike" Sherrell. He has been teaching lessons every Monday, Thursday, and Saturday for as long as I can remember. On innumerable occasions, he has saved the day, being the only instructor to show up. And as many club members can attest to, Mike is very serious about learning as much as he can about sailing, and then passing that knowledge on to his students. Mike is a Berkeley native who, after retiring from biotech-related business, has the luxury of splitting his free time between sailing and his other passion, horses. In fact, he has four of them, and loves to go camping out with them. If you haven't seen him around the club recently, it's because he just got back from an epic camping trip in Oregon and Utah. When did you start to sail, and what convinced you to try it out? 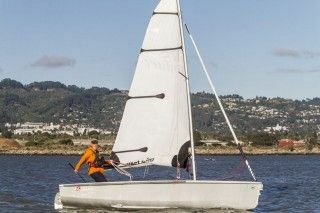 Almost all of Cal Sailing's dinghies are equipped with a trapeze kit, and with good reason: our typical stiff summer breezes make it all but a necessity to send someone out on the wire. Having crew out on the wire can be tons of fun for both you and your crew, but can also be quite a challenge. Here are some tips which can help. Move the boat upwind as quickly as possible. Make your crew feel comfortable on the wire. Now, your crew will probably be most comfortable if the boat is kept relatively flat, sudden changes to heel angle are avoided, and the crew is not required to shift her weight. In other words, she can calmly stand on the rail doing nothing but admiring the view (and calling out gusts and lulls). On the other hand, in order to make your boat move upwind as quickly as possible, you want to keep the boat flat, and to keep your close-hauled jib at the proper angle of attack to the wind, so that it neither stalls nor luffs. You, the skipper, have three controls at your disposal: tiller, main sheet, and your body weight. So how do you keep both your crew and the boat happy? Firstly, steer with the tiller to keep the jib at the proper angle to the wind. Secondly, use a combination of body weight and main sheet trim to keep the boat flat. In practice, it is a good idea to hike out moderately and then trim the main accordingly. Indeed, the more you power up the main (while keeping the boat flat), the faster you go. Furthermore, if the wind comes up or down, you still have two controls at your disposal: in a gust, dump the main and hike out hard, and in a lull, sheet in and shift your weight leeward. Gives me something to work on, for sure. Most senior dinghy tests involve assessing the skipper's ability to single hand a dinghy in high winds. And indeed, this is an essential skill. Imagine that you're out in the South Sailing Basin on a beautiful summer afternoon. It's blowing 15 knots, and you and your crew are hiked out all the way when suddenly the hiking strap breaks, and your crew ends up in the drink. (See e.g. http://youtu.be/ZZTwH8C5bjo for an excellent demonstration by our current Commodore). If you can't pull off a single-handed crew overboard maneuver, your crew will end up on the rocks by Emeryville while you wait for the rescue skiff to arrive. Here are a couple of pointers which will help you single-hand like a pro. Depowering the sails. Unless you have the stature of an NFL linebacker, chances are that you will have difficulty keeping the boat flat unless you take some steps to depower the sails. Reefing the main and furling the jib are good starting points. Tightening up the luff of the sail with the Cunningham and/or reefing line will help to flatten the sail, reducing its heeling force. Loosening up the vang or gnav will allow the head of the mainsail to twist and luff, all the while keeping the bottom of the sail powered up. Balancing the boat. Balance is always key in sailing. Since you no longer have crew in the boat, you'll have to use your own weight much more effectively. Moving forward is essential; otherwise, the bow of the boat gets battered around by waves. Aggressively hiking out will help keep the boat flat. If you're lucky enough to be wearing a harness and your tiller extension is long enough, you can even go out on the trapeze! Tacking and jibing. Tacking a dinghy while single-handed in high wind can be quite challenging; large swells crashing against the bow of the boat tend to slow the boat before it passes through irons, causing the tack to fail. Furling the jib and loosening the vang as suggested above compound the problem, as the boat no longer points as high. In some situations, jibing the boat is the only viable option for switching tacks. For this, loosen up the vang (if this wasn't already done), and start the jibe with a maximal amount of boat speed. You'll have to aggressively use your weight and the tiller to keep the dinghy from rounding up and broaching. 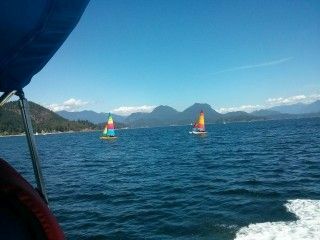 Sailing in the Bay is rough on equipment, including our club's fleet of dinghies. These boats are kept operational through volunteer work spearheaded by our co-first vice commodores, Dan Rolinek and Seamus Vanecko. They were kind enough to take a break between the never-ceasing boat repairs to fill us in on the state of our fleet. What is the current state of our dinghy fleet? How much life do our dinghies have left in them? The Ventures and 500s are new and holding up well. The Bahias are starting to show their age. The biggest issue is that they develop cracks in the cockpit floor. We’ve developed a fix for this (you may have notices a few with big platic pieces glued and screwed to the floor), but we don’t know how long that will hold up. Not much will stick to polyethylene, you need a special epoxy. It’s a somewhat complicated process that involves flame treating the plastic so that the epoxy will adhere. We just found a new product that may be simpler, but we haven’t had a chance to test it yet. The JYs are showing their age too, but they seem to keep going. We've just got a number of new exciting RS boats, but what about our older workhorses? Is it possible to purchase replacement JY15s and Bahias? Unfortunately the Bahia manufacturer is not doing well, and it’s not possible to buy new Bahias currently. It’s also difficult to get things like spars and foils. We probably won’t purchase more JYs as they are fairly expensive for an older design that doesn’t have a kite. They don’t get sailed a whole lot except for racing. Seniors want to fly the kite, and juniors for the most part are more comfortable on the boats they first learned on. That’s too bad though. I think the JY is a better boat if you’re a junior and can’t fly the kite. Thursday, November 21st, 2013. After days of poor wind, the forecast finally calls for winds of above ten knots, with things getting pretty crazy later in the evening. I decide that it is time to skip out early on work and head down to the club. I ask my sailing buddy (and co-2nd vice) Chris Lalau Keraly if he’s up for a sail, to which he replies “Screw science, I'll be there at 3:30!” Chris is good to his word, and right as he arrives at 3:30, a Bahia pulls up to the dock, with gennaker rigged and ready to go. I take over the boat, and after putting our foulies on and picking up an aspiring junior as our third crew member, we’re ready to go! The wind is coming from the north, so as soon as we get away from the dock, we hoist the gennaker and take off towards the toilet basin on a broad reach. Before getting too close, we jibe and start making a beeline for the southwest corner of the senior dinghy area. The windspeed seems to be varying between 10 and 15 knots, pretty patchy at times, but we get in a good enough run with me at the tiller. If you are looking for Steve Burchik on a Wednesday evening, chances are that you'll find him down on J-dock, getting ready to teach keelboat lessons for the Cal Sailing Club (CSC). He's also a regular volunteer for the Open House and Youth Ride events. Steve moved to the Bay area in 1978 for a job, and hasn't left since. 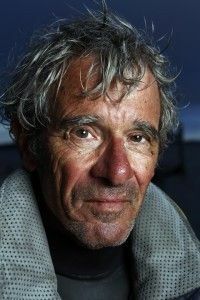 Apart from his dedication to helping out at CSC, he is known for promoting the use of safety whistles: during a keelboat study group class, he brought a shopping bag full of plastic whistles to distribute among aspiring senior skippers. 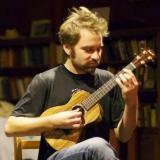 Steve especially values the diversity and depth among the ranks of CSC members.  How did you hear about CSC and when did you join? I first heard about CSC from my son. He suggested a family picnic in Berkeley and had heard about the Open House. He thought I might enjoy an opportunity to go sailing. I had an exhilarating sail in a dinghy, got soaking wet and immediately walked over to the club house and signed up in April 2007. During my first year of sailing, I kept a simple log each time I went sailing. I just checked it to confirm the dates and was surprised to see that Todd Price was the Skipper on my introductory sail. Our paths would cross many times in the ensuing years. Kim Nguyen is one of Cal Sailing Club's (CSC) most dedicated volunteer dinghy instructors. If you've ever been down for Saturday morning lessons, you're bound to have run into him. Prior to getting his Junior rating, Kim helped out the club by keeping everything clean and working the dock at Open Houses. How did you hear about CSC, and when did you join? I accidentally walked into one of the open houses back in August of 2008. I did not have a chance to go on the boat ride, but I signed on to become a member on that date. What is your favorite boat to sail?